On October 27, 2015, the U.S. Copyright Office announced that after reviewing 44 petitions and 40,000 comments, holding seven days of public hearings, and testimony from 63 witnesses, it has adopted several new exemptions to the anti-circumvention provisions of the Digital Millennium Copyright Act (DMCA). The DMCA is a section of the U.S. Copyright Act added in 1998 to allow digital dissemination of creative works, while providing legal protections for the copyright-protected content. The DMCA thus contains provisions which prohibit the circumvention of any technological measures used by copyright holders of digital works to prevent the work from being copied or used. The DMCA also provides, however, for a triennial proceeding to consider any exemptions which may make sense as technology develops and new fair uses of the work may warrant. Video games for which there is no longer outside server support, to allow individual play by gamers, and preservation of games by libraries, archives and museums (as well as any necessary jailbreaking of console computer code for preservation uses only). Literary works consisting of compilations of data generated by implanted medical devices and corresponding personal monitoring systems. Computer programs that operate devices and machines primarily designed for use by individual consumers, motorized land vehicles and medical devices designed for implantation in patients and corresponding personal monitoring systems, for the purposes of good-faith security research. The Copyright Office did not approve six categories of exemptions either due to a lack of legal or factual support for the exemption or because the proponent failed to produce a complete record (mostly involving space and format shifting and other jailbreaking and unlocking purposes). The new exemptions could impact many of our clients, and those operating in the United States in affected industries should take note – for example, media companies, educational institutions, persons with disabilities and the programs which serve them, publishing companies, wireless networks, computer, tablet, mobile and other device manufacturers, vehicle manufacturers and vehicle repair and customization companies, 3D printer manufacturers and feed-stock distributors, medical device companies, software, digital and technology security companies, and computer software companies providing interoperability solutions, and many more, are certain to be affected. Clients in other countries should be aware that the World Intellectual Property Organization (WIPO) Copyright Treaty requires anti-circumventions laws in its member countries, and many countries have some exemptions already present in their Copyright Laws (e.g. the EU, Australia, etc.). MSI members should consult their national copyright laws as well as the provisions in the WIPO Copyright Treaty, Berne Convention, and any other applicable copyright treaty when advising companies with digital copyright-protected content or technological circumvention technology. 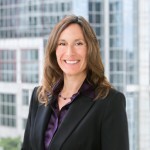 Stacey C. Friends oversees Ruberto, Israel & Weiner’s Intellectual Property Practice. She can be reached at scf@riw.com.